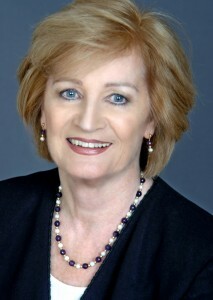 Positions: Paula was Principal of the St. Nicholas Montessori College and School in Dublin, Ireland. She was Dean of the Toronto Montessori Institute from 1999 – 2004 where she developed new courses, including a Training of Trainers’ course. Subsequently, she was Director of Studies at the Montessori St. Nicholas Centre, London, UK. In this position she carried out examining and quality assurance duties at many international locations. She also sat on the Montessori Examination Board in the UK. Quality: Paula is committed to providing quality Montessori education at every level. 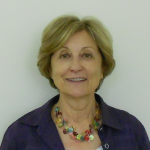 International Experience: Paula is an international lecturer, examiner and accreditor of Montessori schools since 1983. Prior to co-founding Montessori Teachers College she provided Montessori training at many international locations including Ireland, UK, Sweden, Singapore, Zimbabwe, the US and Canada. She has accredited Montessori schools in Ireland, the UK, Singapore and Hong Kong. Paula has been involved in the Montessori Method of Education since 1971. She holds Montessori Diplomas at Early Childhood and Elementary levels. She also holds a BA and an M.Ed.in Educational Management. Florene commenced her professional career as an elementary teacher with the Toronto Board of Education. In 1975 Florene entered Osgoode Hall Law School and was called to the Ontario Bar in 1980 and practiced law in the City of Toronto. A strong supporter and advocate of Montessori education since 1966, Florene was employed by Toronto Montessori Schools from 1994 to 2003 as Principal and C.E.O. of both Toronto Montessori Schools and Toronto Montessori Institute. Florene was Chair of the Canadian Council of Montessori Administrators for five years. Florene’s daughter and two grandchildren attended Toronto Montessori Schools. Shela has sixteen years of experience as a Montessori educator and entrepreneur. She owns and operates two Montessori Schools, Bright Scholars Montessori and Pre-School Inc. and Heritage Montessori Inc., at three locations in Mississauga and Oakville. Shela has a B.A. degree in philosophy, political science and history as well as a Montessori Diploma in Early Childhood Education. Shela’s voluntary contributions to the community are extensive. 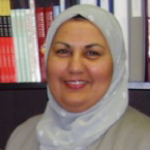 She is an Executive Board Member of CDRCP (Child Development Resource Connection Peel), ADCO (Association Of Day Care Operators) and EFFORT (Extended Family Forum Offering Relief and Trust), as well as Chair of ADCO’s Walkathon supporting Children’s Hospitals in Ontario. Shela is a member of CCMA (Canadian Council of Montessori Administrators), MTANA (Montessori Teachers Association of North America), Mississauga Board of Trade, Mississauga Business Enterprise Centre and Chamber of Commerce. Shela was involved in ADCO’s Book Project ‘APPROACHES TO EARLY YEARS LEARNING’. Shela’s experience includes international projects with Hincks-Dellcrest Centre, ‘Learning through Play’, towards developing mental health of young children and their families. Her passions are her family, universal well being of children, community outreach, and life-long learning.